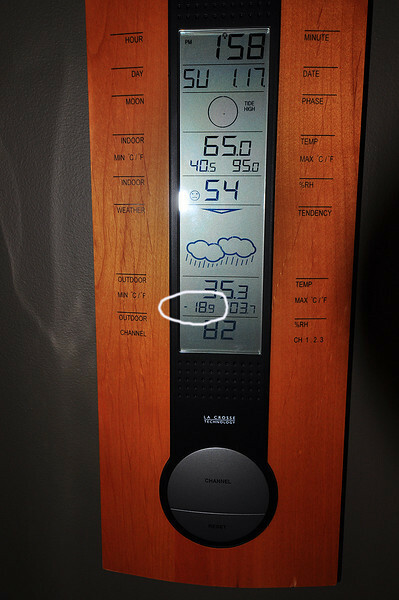 Sometime between December 2009 and the middle of January 2010, my indoor/outdoor temperature reader recorded an outdoor temp. of minus 18.9 degrees (F)! The maximum temp. is usually skewed by direct sunlight. Brrr...a cold winter.